These tasty cookies will drive you and your family crazy. They are delicious and very simple to make. All you have to do is follow theses easy steps. Preheat oven to 350F (180C) degrees. In a large bowl with an electric mixer, cream the cream cheese and butter until smooth. Beat in the egg in bowl. Then beat in the vanilla extract. Beat in cake mix. Cover and refrigerate for 2 hours to firm up so that you can roll the mixture into balls. Roll the chilled mixture into tablespoon sized balls and then roll them in confectioner's sugar. Place on an ungreased cookie sheet, 2 inches apart. Bake for 12 minutes. 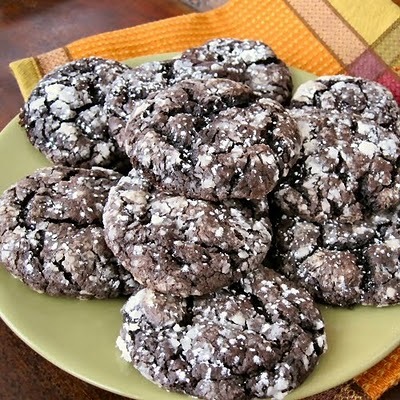 The cookies will remain soft and ''gooey''. Cool completely and sprinkle with more confectioner's sugar, if desired.